Need more information on School Bag Factory located in China? If you’re considering doing business with this company, read below to read one buyers experience with when they were looking to source School Bags Cartoon Character from them. You will also find some links to help you find more related information about School Bag Factory on Supplier Blacklist and on Google as well as other bad suppliers of School Bags Cartoon Character reported here on SBL. 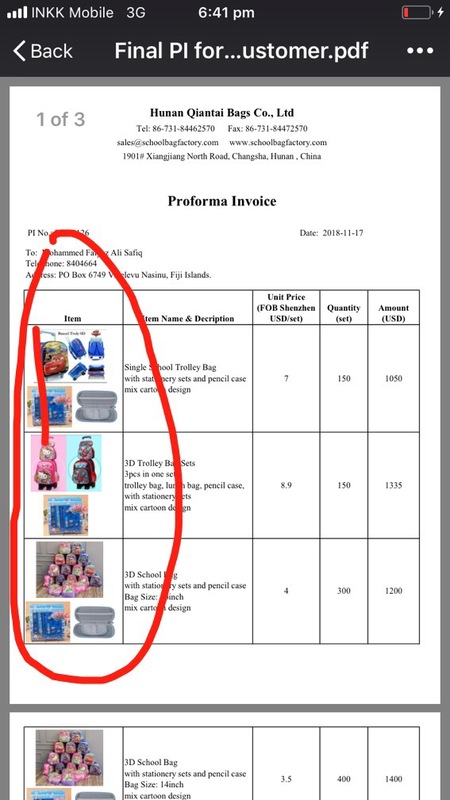 According to the products I ordered and I was told in the pi I made payment to the company to start production and made ful payment before shipping as in the pi term but when I received products in my country most products I paid for is not come and cheap bags only arrived which I didn’t request for. Now I’m contacting the agent know to me as the owner she is not replying how to solve this problem. I waited one whole day but she don’t tell me what went wrong or how she will help me get the bags I order. China company not good and think thousand time when u buy. I’m from a small tiny island and my saving for the last 15 years hard work for business was robbed and now I don’t know what to do. Agent never answer phone or reply to my message. Need More Info on School Bag Factory? 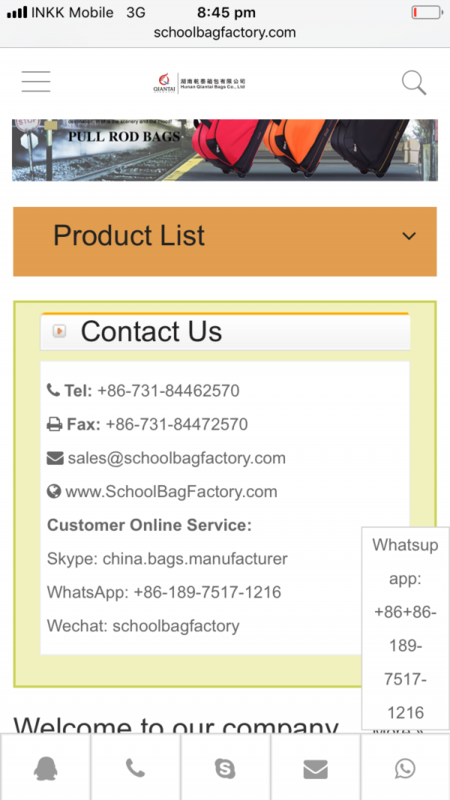 If you need more information, you can click the below links to search for more submissions about School Bag Factory on Supplier Blacklist as well as go to the search results page on Google for more reviews online about this company. 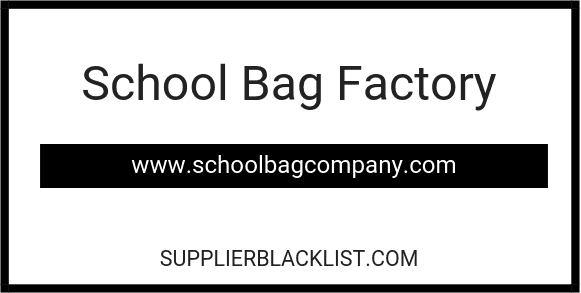 Perform a Supplier Blacklist search for more reviews on School Bag Factory. Search Google for School Bag Factory Reviews.